Hi everyone! I have been away from this blog for a few days. Apologies about that but this thing they called a job, kind of got in the way! I also have been working on some other running related things that kind of some how fell into my lap. I will likely be a little forthcoming on that in the next week or two! Lost in my absence, was the fact that I ran a race finally! I tell you, it has felt like forever since I have run a race. While I did do an unofficial 5k on New Year’s Day with my gym and I also managed to do a virtual 5k with New York Road Runners, nothing compares to the feeling of an actual race, particularly one at Central Park! Add the fact that I got shut out of the Fred Lebow half marathon and that they cancelled the Joe Kleinerman 10k and I was really itching to get a race in. Well finally the day to race came! WEATHER: Cloudy, 34 degrees w/ 5mph winds. I like to document this because the time leading up to a race can dictate the outcome of your race. This was my first race in a while and I was anxious as all hell. With the race being started on the upper easy side (102nd street traverse), I thought I had a good chance of finding some street parking if I got there early enough. I got to the area around 7:30am- Mind you the race didn’t start til 9:00am. After circling for about 15 minutes, I decided to look for a parking garage close to the park. Found one right on 102nd street just east of 5th avenue but it had a line waiting to get into the garage. That was ok, I was early. I was waiting on that line, I noticed a guy walking to a parked car down the block. I bolted off of the line and followed the guy. Sure enough he was pulling out. Free parking was scored! Adding to the excitement of the pre-race was the fact that I was meeting up with some members of our United NYC Half Facebook community. Close to 30 of us in the group had signed up for this race and several were eager to meet before the race. It was great to meet up with several of them before the race! 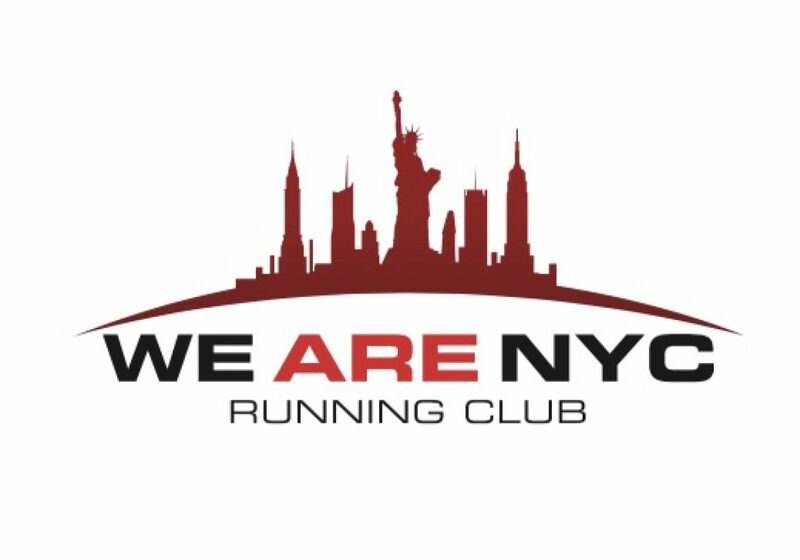 The cold weather had us a bit frozen, but I think it was safe to say that we all made some new running friends and we likely started a new trend that could carry over to other local races leading up to the United NYC Half Marathon on March 18th! I usually start out in D corral for NYRR races, but this time I started in E corral to run along side one of the members from our online group who had never run a NYRR road race. Knowing this runner, I don’t think she belonged in E corral as I’ve seen her pace and it is definitely faster than E corral. However NYRR has a policy that they will only move you up once you have recorded a time with them. At the start of the race, it was very crowded and I found myself dodging a lot of slower runners and even walkers. The first mile ran along the 102nd street traverse from the east side of the park to the west side. Once we turned onto the west drive of the park, there was some up hills to overcome. I was taking it easy during this first mile because the crowds just did allow me to stretch out my stride. My first mile was clocked at roughly 7:36. Not bad for the first mile of any of my runs, since I am usually slow in that first mile! As I approached the second mile, you could tell that the crowds were starting to thin out a bit. I remember seeing a nice area of space and darted for that. It coincided with a down hill and I remember just flying down the hill for about a good 200 meters. Truth be told, that whole second mile felt like a down hill. The mile time was reflective of that. 6:38 was my split for mile 2. What the hell was that? Pretty fast by my standards. Mile 3 was an upward climb as we crossed over from the west side and back to the east side of the park . Up “Cat hill” we went and I was definitely feeling some tired legs up this hill especially after a 6:38 second mile. As we started the climb I could feel my legs getting heavy and my breathing starting to get rapid. There was a brief point where I got distracted. There was a purposely made up division in the road. If you went left it meant you were rooting for the Philadelphia Eagles in the Super Bowl. Going right mean you were rooting for the Patriots. At that moment, I felt like stopping and turning around because I hate both teams. But if you need to know – I went right (lol) . After that distraction, I focused on controlling my breathing and just taking relaxed strides. Once my breathing was under control I tried to pump my arms and my legs a bit more to get up the rolling hills a bit stronger. Mile 3 definitely wasn’t the fastest mile of the race, but I prevented myself from burning out. In fact, I was actually pleased with my mile split considering that 3rd mile was filled with hills, 7:12 pace! Once I got past the 3rd mile, it dawned on me that there was only a mile left. This is what I hate about short races, its like you are alway churning a rapid pace each mile. You can’t take a mile off! I know myself, I can always churn out a fast final mile. But like I said, in a short race, all of them had been fast this was going to be a bit of a struggle. I locked my mind into a sustainable rapid pace and told myself just to stay at this pace until the finish line came into sight and then let it all hang out. That’s what definitely happened. My final mile, 6:40. I have never put two sub 7:00 minute miles together in a race before! Hey I’ll take it! My final time was 28:42 for an average pace of 7:11. This was good enough for a PR at the 4 mile distance. For my first race of the year, I was very pleased with this. If that first mile wasn’t as crowded, I may have run that mile a bit faster. All in all this was a great way to start Super Bowl Sunday! PR for the 4 mile distance! Holy crap that’s fast!! Congrats! Thanks! I was pleased since it was cold and it was the first race of the year!